If you are looking for your next adventure in moving, we have a few insights and trends we’d love to share with you. And if you want to know where people are moving to (and from…) this past year, we have all the info you need. 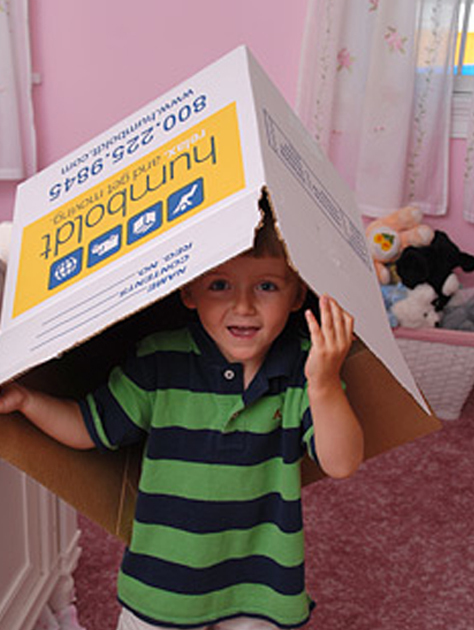 As a moving company in Boston we stay on tops of all the trends in the moving industry. Afterall, we are the people bringing families from one destination to the next. 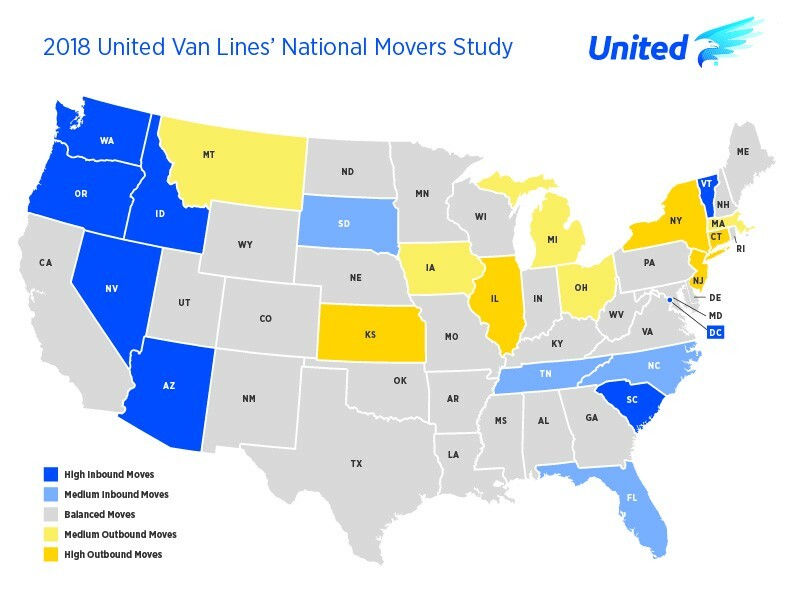 And our friends over at United Van Lines keep a close eye on trends in the moving industry as well as they issue their annual movers study that tells us where the best places to move are as well as where people are moving away from. Have you ever been to Vermont? Well it’s now the top destination in the country to move to according to the annual movers study. While Vermont is picturesque at any time of the year and a great place to call home, many are moving to The Green Mountain State for employment reasons. Other reasons why you would want to move to Vermont is it’s a great place for recreation such as skiing and one of the best states to spend your golden years. Want a house near a ski resort or a lake? Vermont has you covered. Arizona is another top destination in the annual movers study. Like Vermont, the scenery in the Grand Canyon State is breathtaking in many areas. The climate is one of the best in the country and if you want to retire yourself and the snow shovel, it’s a great place to call home. While many people did move to Arizona to retire in 2018, many as well moved there as a result of employment opportunities or a job transfer. Not a bad place to call home if your boss tells you you’re moving. From the Grand Canyon to the Hoover dam, you will never run out of places to visit in Arizona. As a moving company in Massachusetts, we are always sad to see Massachusetts on the list of the top outbound states. But we are always ready to help you make that next journey relaxing and stress-free. If you are moving from Boston, Lowell, Worcester and of course the South Shore, we are ready to get you to your next destination. But keep in mind, you’ll be leaving a state full of history, culture and endless landmarks to visit. There is always something to do in this fine state, from hiking and skiing to the best museums in the country. So if you are moving to Massachusetts, or moving to another town around Boston, we’re ready. Michigan, another gorgeous state made its debut on the list of top outbound moving states. While Michigan is a large state, there is also no shortage of things to keep you busy in your downtime. From the henry Ford Museum, incredible lakes and national parks to the Detroit Zoo and the Michigan Maritime Museum. You could travel throughout the state of Michigan and never run out of great attractions. Of course, if you are moving from Boston to Michigan, we are ready as well to take great care of you. We have found that over time, trends change and that goes for trends in the moving industry as well. People move for a whole host of reasons including a new job, a job transfer, retirement, good schools, taking care of loved ones and just wanting a new adventure. In Massachusetts for example, over 23 percent of moves into the Bay State were because of family while over 55 percent were for employment opportunities. In Arizona, almost 37 percent of moves into the state were for retirement and 29 percent were job related. Every move is different and the crews at Humboldt know that. We’re ready to help you be at ease with wherever you move and for whatever reason. Here’s to a new journey!